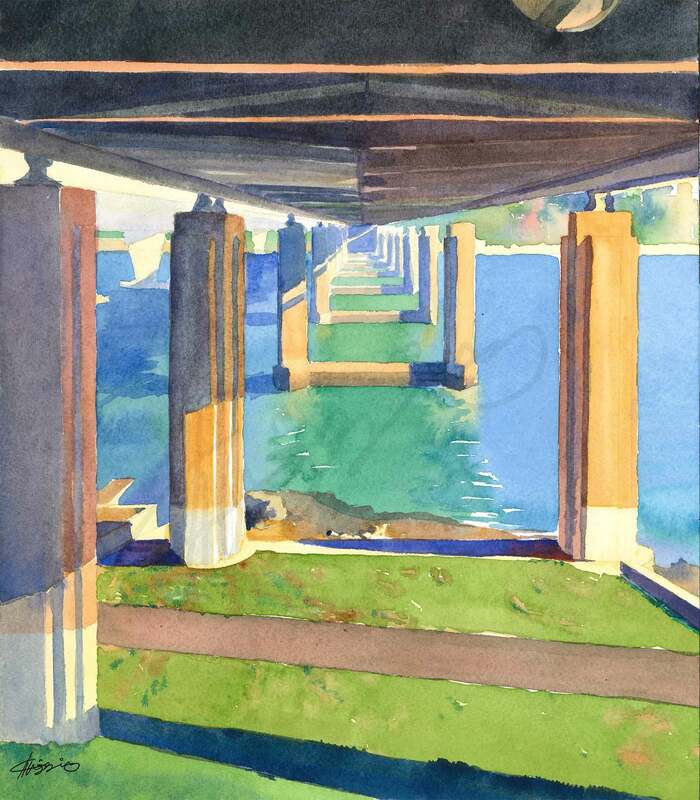 A painting that captures the underside of the Iron Cove Bridge in Sydney. Strong sunlight filters through the pylons, creating stark shadows on the grass and water below. Painted on acid-free cold-press watercolour paper with Winsor and Newton paints.